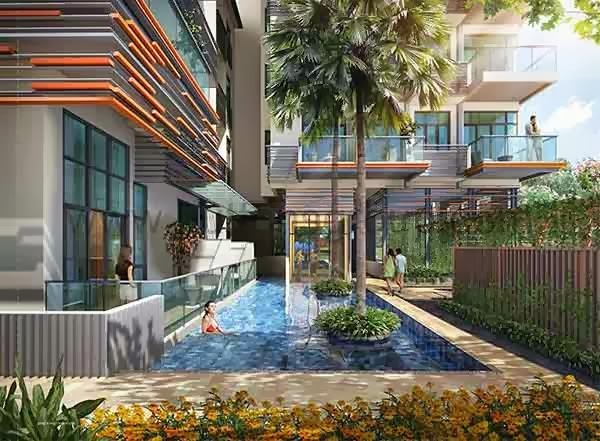 Floraville @ Cactus Road offers the newest communal property development with flourishing landscape that will make you marvel at nature's wonders. Nestled at the adoring hub of 2 Cactus Road, Singapore Dictrict 28. This latest residential development is to raised with top of the line facilities and features to fully satisfy your dream of a classy and sophisticated lifestyle. The jacuzzi, pool and gym are available for your relaxing ventures. The splendid pavilion can also accommodate special gatherings. Floraville @ Cactus Road is available for preview by appointment. View Brochure or Floor Plans for a feel of this development or register using the form below to set your appointment with us. Experience living experience at its best! Only here at Floraville @ Cactus Road where tranquil and modern setting are combined in perfect harmony. *Floraville @ Cactus Road VVIP Preview is available strictly by Appointment. Showflat opening hours may varies. For opening hours, do call our Sales Hotline at 6100 0877 or register below for your VVIP Preview.